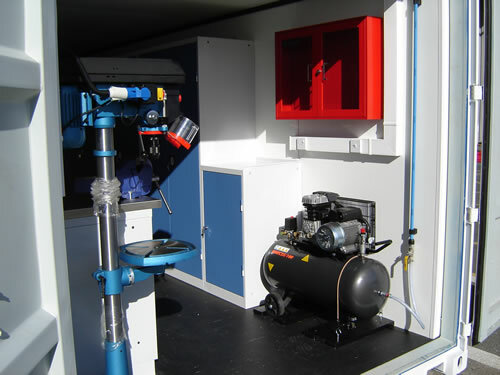 Leading global tools and diagnostics provider Snap-On contacted us requiring a bespoke mobile workshop. Snap-On needed a mobile workshop to allow full functionality in remote areas, to maximise their mobility for customers. Our converted containers were the perfect option for their request. 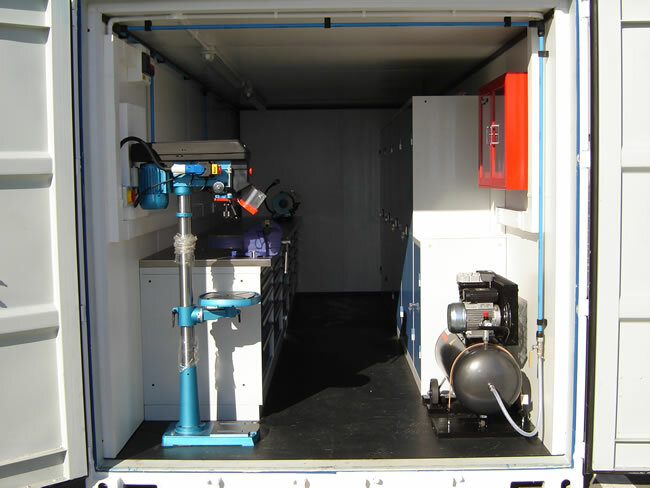 Our 20ft container was converted to match exactly Snap-On’s specific requirements – including three phase electrical supply providing safe, constant and reliable power for the mobile workshop. Working in an isolated area and operating tools which require constant electrical supply, it was crucial that this conversion was able to provide a secure circuit. 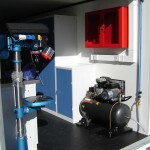 Internally the container was transformed from a plain shipping container into a fully functioning bespoke mobile workshop. Fitted with tool cabinets and cupboards specifically designed to keep the tools safe and secure whilst on the move, we made the container as practical as possible for Snap-On. To ensure the highest levels of workspace standards and safety, air compressors and lines were installed. One of the many advantages of using shipping container conversions for this project was that it was obviously highly mobile. Thanks to it’s original purpose, the container was able to be shipped or transported to any location necessary with minimal effort. An excellent benefit of using a converted container is that it requires no ‘set up’ upon arrival and can be used right away – perfect for mobile business operations, such as Snap-On’s workshop. So, how do you get your workshop? Are you considering a container conversion for your next project? 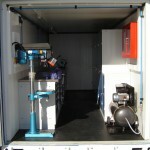 Container Care can adapt your container to excel in your environment – dust, wind, wet, heat, etc. We can protect the interior and exterior, provide specialist protective flooring, walls, electricity, drainage, heating and much more.